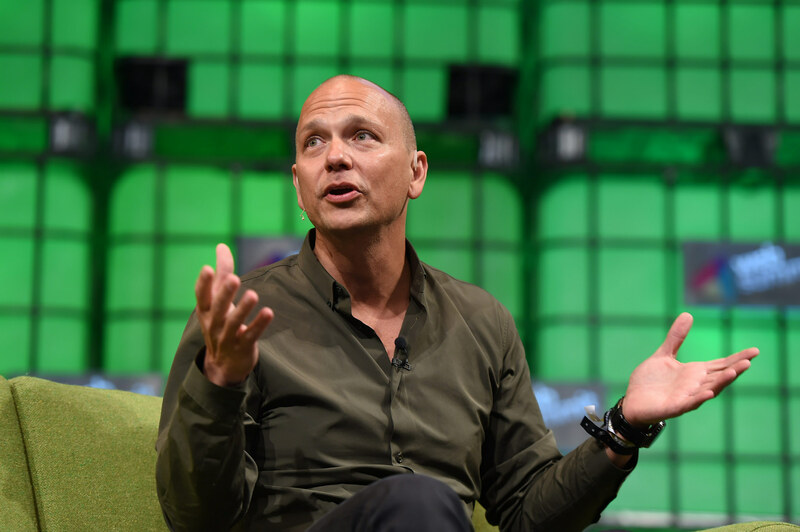 Tony Fadell didn’t anticipate the impact his creation would have on the world. Tony Fadell helped design the iPod, the iPhone and the iPod. Not that his work rests easily with him. “I worry what my grandkids are going to think,” he told Anderson Cooper at Monday’s Mindfulness in America Summit. Will it be “He’s the guy that destroyed society,” he wondered aloud, or will he be revered? The impact of the iPhone was not something he—or his team—could have imagined. “We wanted to be successful, but I don’t think any of us thought it was going to be this successful,” he explained, harkening back to a decade ago when his team was first rolling out the device. They were worried about taking on Nokia and BlackBerry, two competitors the iPhone has basically buried. But now, the iPhone is “pervasive in everything we do,” he said on stage. Business models have been upended, and the 2.5 billion people with smartphones have a different way of interacting with the world. Apple has reportedly sold 1.2 billion iPhones to date. But this success has come with “unintended consequences,” Fadell said, like the way social platforms so relentlessly hijack our minds. Users would obviously love to have free things, he added, but Facebook, Twitter, Instagram, and the rest want to make money. The user isn’t the customer for these services—it’s Coca Cola, Nike, or whoever is buying ads targeted at you. That’s what makes our current technological moment so different from earlier ones. “If you think about TV, it wasn’t mobile; you couldn’t program it,” Fadell says. But with an iPhone, you can watch endless streams of video of your choosing so long as you have your charger plugged in. If tech companies really loved their customers like they say they do, then they’d give them the tools to set better boundaries with their products, he added. A kind of digital quantified self would be huge, he said. What if an operating system didn’t just track the number of steps you took in a day, but how many times you unlocked your phone or how many minutes or hours you spent on individual apps over a day, week, or month? Being able to make a device “single purpose” so that you can cordon off other interruptions is another idea. That’s why the Kindle is so great, Fadell said: you’re just reading, without the threat of some notification barging into your solitude. There are, of course, things that we can do without needing an engineer’s help. Fadell and his family have tech-free Sundays. (The kids say they’re bored to death for the first hour or so, he said, but they soon discover life unrelated to screens.) His family also uses a service called Circle to track everybody’s device usage.